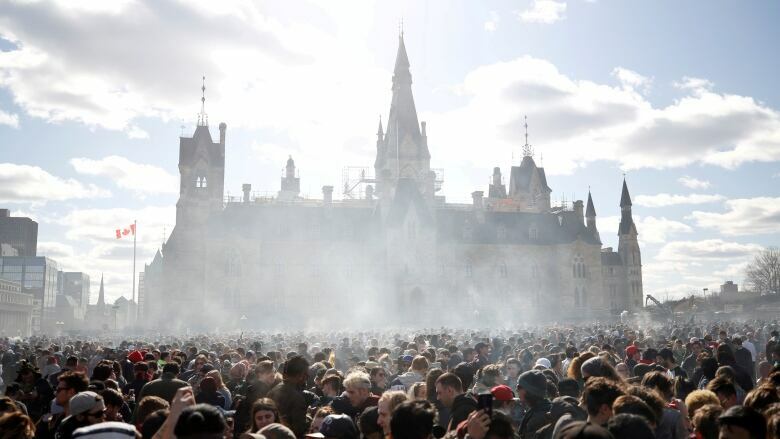 Cannabis is slated to be legalized in Canada in October — but for those who have criminal records because of cannabis possession, the battle is far from over. The federal government has been exploring options to pardon thousands of Canadians previously convicted for possession of cannabis. But applying for the pardon is time-consuming, costly and onerous, an Alberta provincial court judge says. Sean Dunnigan said pardons aren't actually called pardons anymore, even though they are most widely known as such. They're now called criminal record suspensions, which you have to apply for if you're someone who was convicted of a crime. The first step, Dunnigan said, is for the person to make sure they'd be eligible for a pardon. "Since 2012, people convicted of a sexual offence involving a child or anyone convicted of three indictable offences with sentences of two years or more are ineligible," Dunnigan told CBC's Radio Active. If the person is eligible, all aspects of the conviction must have been completed: the time served in jail, any fines, probation or any restitution owed to the victim. If the person served jail time, they will have to wait five years after the completion of the sentence for less serious cases or 10 years for more serious cases. In order to be eligible, you can't even have an unpaid traffic ticket during that length of time. "They've got to be pretty squeaky clean," Dunnigan said. A person then has to get a copy of their criminal record and fill out an application online. The application is long but fairly easy to follow, Dunnigan said. The applicant has to write out a statement explaining why a record suspension would be of benefit to them. They also have to describe each of their offences were committed. The applicant will have to pay a $631 fee and it could take up to 10 months to get a response. But for people convicted of small crimes, like cannabis possession under 30 grams, it can be worth it. "That's a pretty daunting task," Dunnigan said. "[But it] improves chances for employment." It can also improve chances of international travel, but not to the United States because they don't recognize Canada's record suspensions. "Entry at the U.S. border is the subject of a whole new show," Dunnigan said. "You never know what's going to happen. It's up to them."